Nun sind es schon 100 Künstler, denen ein Buch in der Serie 100for10 gewidmet wurde. Jede der Publikationen besteht aus 100 Seiten voll mit Ideen eines einzelnen Künstlers, gedruckt in schwarz und weiß. Jetzt ist es an der Zeit das Jubiläum mit einer ganz besonderen 1000BY100 Zusammenstellung zu feiern. Um dieses Projekt zu finanzieren, brauchen sie eure Unterstützung. 100for10 is an art book series of monographs by artists from all over the world. Each artists is invited to create a 100-pages monograph, restricted to black and white. The books are available for 10€ each—inspiring the name of 100for10. The project started in June 2015 by editor of the design magazine Slanted Lars Harmsen and Melville Brand Design. All books are published on their website. Every artists gets 25% of every sold copy. Besides, they organize exhibitions and various events to present the work of the artists. Now they are up to celebrate their 100th artists, means they published 100 monographs. They now want to produce an anniversary issue. 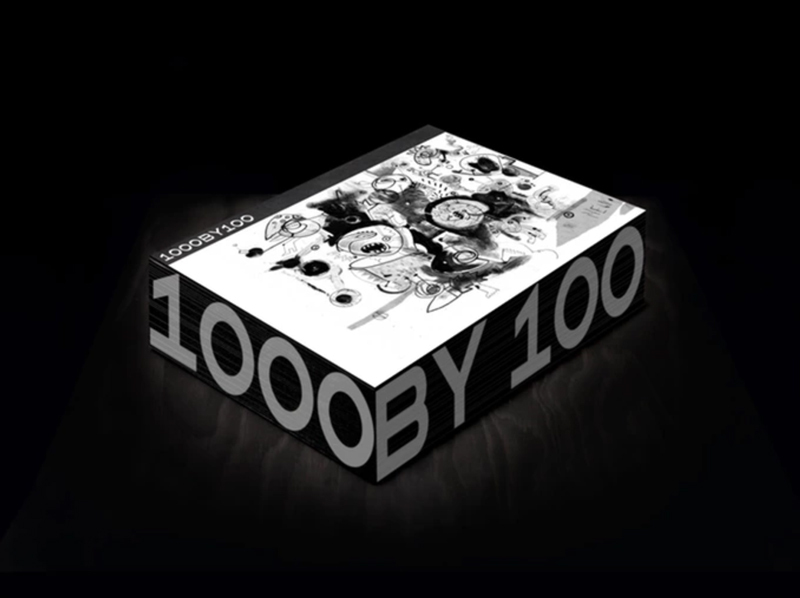 The 1000BY100 will be a 1000-page artitst compilation book! It will be a special edition. The release will be in fall 2018. 100for10 is published by Melville Brand Design, a team of dedicated brand strategists and brand designer who create in close dialogue with clients individual design and communication solutions.